The tangle of roads in the Chicago metropolitan area begins to sort itself out at State Line Crossing, straddling the Indiana/Illinois border just west of Hammond, Indiana. 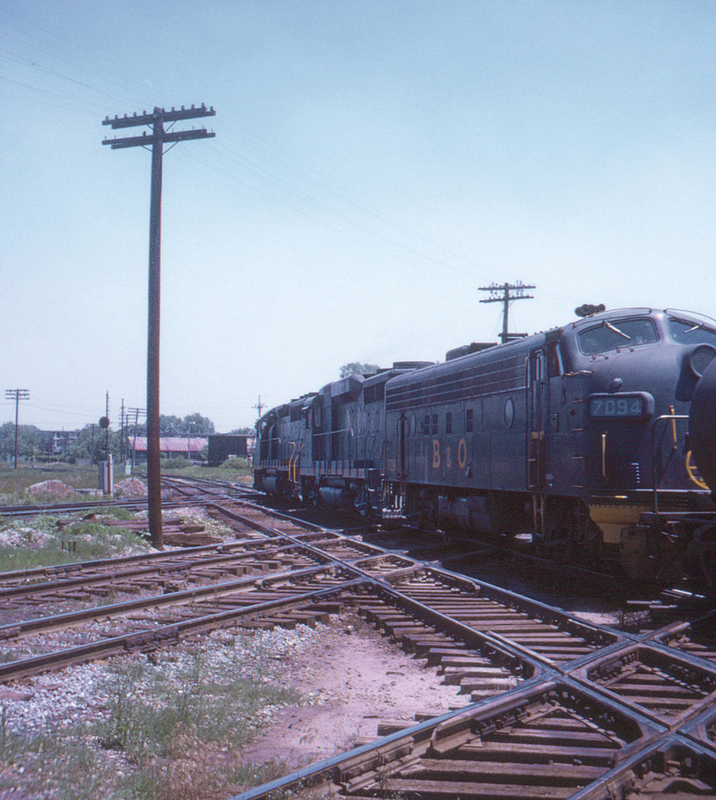 Here an eastbound Baltimore & Ohio freight crosses in turn tracks of the Monon, Nickel Plate Road, Chesapeake & Ohio and Elgin, Joliet & Eastern railroads. Behind the camera is yet another crossing, of the Indiana Harbor Belt.